From the Archive: In his State of the Union address Tuesday, President Trump announced that he had signed an executive order to keep the U.S. detention facility at Guantanamo Bay open. On this occasion, we republish an article from 2012 by Nat Parry marking Guantanamo’s ten-year anniversary. When the Guantanamo prison camp, originally dubbed by the U.S. military Camp X-Ray, opened in January 2002, the United States came under international criticism that was nearly unprecedented in its intensity. Some of the loudest complaints came from the staunchest U.S. ally, the United Kingdom, where three cabinet ministers Robin Cook, Patricia Hewitt and Jack Straw expressed concern that international agreements about the treatment of prisoners of war were being breached. The UN High Commissioner for Human Rights, Mary Robinson, also objected to the camp and called on President George W. Bush’s administration to follow the Geneva Conventions. In a Jan. 19, 2002, column in the British Independent, Robinson argued that because the Afghanistan conflict was of an international nature, “the law of international armed conflict applies.” She took issue with the administration’s assertion that the prisoners were “unlawful combatants” and thus outside the protections of the Geneva Conventions. Amnesty International expressed concern about the tactics being used and the secrecy surrounding the camp. “Keeping prisoners incommunicado, sensory deprivation, the use of unnecessary restraint and the humiliation of people through tactics such as shaving them, are all classic techniques employed to ‘break’ the spirit of individuals ahead of interrogation,” the human rights group said. The International Committee of the Red Cross — in an unusual deviation from its practice of not publicly criticizing detaining governments — said the United States might have violated Geneva Convention rules against making a spectacle of prisoners by distributing pictures of the detainees being subjected to sensory deprivation, which were published worldwide. UN High Commissioner for Human Rights Navi Pillay also praised Obama’s Executive Order, saying that it was a good day for the rule of law. “The fact that President Obama has placed such a high priority on closing Guantanamo and set in motion a system to safeguard the fundamental rights of the detainees there is extremely encouraging,” she stated. “The United States has in the past been a staunch supporter of international human rights law, and this is one of the reasons that the regime that was established in Guantanamo has been viewed as so damaging,” the High Commissioner added. Now at Guantanamo’s ten-year anniversary and nearly three years after President Obama’s Executive Order there is a palpable sense of disappointment and betrayal from the human rights community. The United States is finding itself on the receiving end of now-familiar criticism of its indefinite detention policies, with human rights organizations and intergovernmental bodies renewing their complaints that for the past ten years, the U.S. has flouted international human rights standards in its practices at the notorious prison camp. “The practice [of indefinite detention] violates U.S. obligations under international law. Human Rights Watch has strongly urged the U.S. government to either promptly prosecute the remaining Guantanamo detainees according to international fair trial standards, or safely repatriate them to home or third countries. 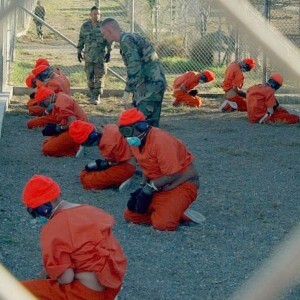 On the eve of Guantanamo’s tenth anniversary, Amnesty International said, “Guantanamo has politicized justice internationally by portraying detainees as having no human rights.” Amnesty has described the legacy of the Guantanamo Bay prison as a “decade of damage to human rights” not only in the United States, but across the world. 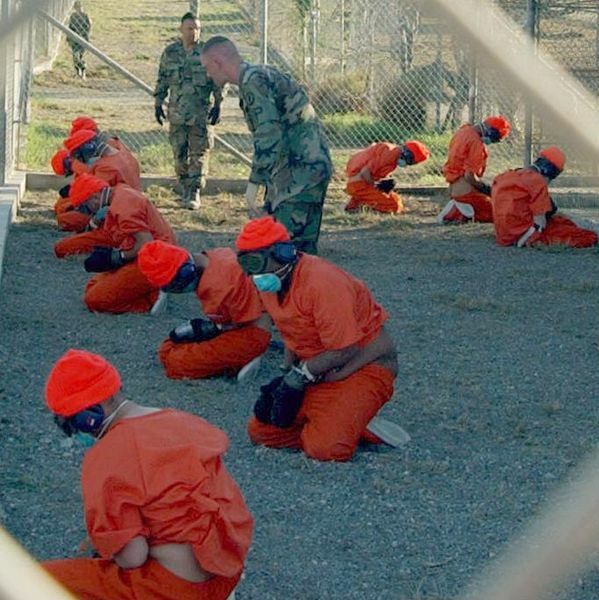 Ambassador Janez Lenarcic, the Director of the Organization for Security and Cooperation in Europe’s Office for Democratic Institutions and Human Rights (ODIHR), also expressed dismay over the failure to close the Guantanamo facility. “Universal human rights standards require that the detention of terrorist suspects shall be accompanied by concrete charges and the persons detained under these charges shall be immediately informed of them and brought before a competent judicial authority,” Lenarcic said. Lenarcic regretted that the practice of indefinite detention without trial has been codified into U.S. law with the recent adoption of the 2012 National Defense Authorization Act (NDAA). He called for a swift closure of the Guantanamo detention center and urged the authorities to prosecute promptly the remaining Guantanamo detainees in accordance with international fair trial standards, or release them. Moazzam Begg, a 43-year-old British Muslim who was wrongly detained at Guantanamo for three years until British authorities negotiated his release in January 2005, is more despondent about the prospects of closing the prison camp. Colonel Morris Davis, a chief prosecutor at Guantanamo Bay during the Bush administration, concurs with Moazzam Begg, saying that Obama “doesn’t have the balls” to close Guantanamo. What struck me way back when was how Cheney and Rumsfeld characterized the detainees as “the worst of the worst.” How could that be “known” when some of the “sweeps” were based on the unreliability of paid informants. And let’s not lose sight of the prison at the Bagram Air Base in Afghanistan which amounts to a Guantanamo East. As far as I know Trump never mentioned Guantanamo during his campaign. Obama on the other hand did and even went so far as to make the order for this hell hole to be closed down once he became president. Clearly, Trump has been compromised and is under orders from the deep state, but at least he didn’t make any false promises in this regard. I don’t recall anyone ever challenging Obama for reneging on his promise to shut Guantanamo, or him giving any tangible reason for keeping this place open. Does anyone here remember Obama saying why Guantanamo was still open at the end of his presidency? Feb. 23, 2016, 2:42 p.m.
Donald Trump has a message for President Obama when it comes to shuttering the Guantanamo Bay prison: no way. Bush was a POS warmonger and torturer. Obama was a POS warmonger and torturer. Trump is a POS torturer, and shows great promise of joining in the “warmonger” category as well. If anything, most members of the US Congress (both houses) are as bad or worse than any of those three. This subject of human rights, is an excellent revival of your work Nat to begin a needed and worthwhile conversation we Americans have been avoiding for far to long. When all is said, and done, GTMO will stand as the one symbol of America’s hegemony project that spit in the face of human rights….and then the world will see to just how the U.S. fell from it’s grace on high. Thank you Joe. The only reason I expose my true name, and only on this site, is because it’s vitally important to separate oneself from this kind of crime. If during our lifetime, and beyond, we cannot make a stand when it truly counts then what’s our worth to Our Society? Many thanks Nat. Of all the issues we as Americans are confronted with, Guantanamo, prisoner of war crimes, and civilian casualties, are the most damaging to our Democracy. Any society that claims that it is based on the rule of law cannot tolerate such injustice. Until our society deals legally with the prisoners held at Guantanamo, and the much larger issue of why it was successfully established during the Bush administration, cannot hope to conduct a day to day government. I’m not aware of a single US Senator that is patriotic enough to touch this subject and that’s shameful. By the way, Defend Democracy Press, a Site I follow and admire, is running Caitlin Johnstone’s article today as a lead. It is a scholarly site and multilingual. Just as Joe says, no apology necessary…I look on you as providing reliably valuable direction and understanding. Though I have accomplished nowhere near the depth of your scholarship, I can at least recognize and appreciate it. Our current President of the US has professed that he is a big fan of torture, and plans to continue and expand it. Millions of Americans voted for this human garbage called Donald Trump. Proud to be an American? I’m not that sick. The practice of torture is a hallmark of evil, totalitarian states. Is there any doubt that the US is such a state? whatever is being done, the war in capitalists and communists is no more required.Nature is already at work. Let join hands for a prosperous future. You just don’t get it, do you? Why have you come to this site?